WASHINGTON (CNN) -- President Barack Obama has approved a significant troop increase for Afghanistan, Pentagon officials said Tuesday. The new troop deployment is expected to include 8,000 Marines from Camp Lejeune, North Carolina, as well as 4,000 additional Army troops from Fort Lewis, Washington. 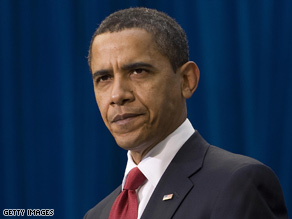 "This increase is necessary to stabilize a deteriorating situation in Afghanistan, which has not received the strategic attention, direction and resources it urgently requires," Obama said in a written statement. Another 5,000 troops will be deployed at a later date to support combat troops, bringing the total to 17,000 the Defense Department said. A senior administration official confirmed the total. The Obama administration has been conducting several reviews of U.S. policy in Afghanistan, including a review by Gen. David Petraeus, the commander in the region. The president and the Pentagon have been considering a request from the top commander in Afghanistan, Gen. David McKiernan, to send as many as 30,000 additional troops. All 17,000 troops announced Tuesday will go to the southern region of the country where Afghanistan borders Pakistan, with the goal mainly being to stop the flow of foreign fighters, according to a U.S. military official with direct knowledge of the deployment and military plans for Afghanistan. The troops will also train Afghan army units. The military operations will set up a string of bases and smaller combat outposts, allowing the troops to move around and engage in counterterrorism against foreign fighters and counterinsurgency operations against the Taliban and other local enemies, the official said. The goal is to have enough troops to "seize and hold" territory and maintain basic security, which hasn't been possible under current troop levels, the official said. The Taliban continues to maintain at least half a dozen safe areas inside Afghanistan, which are prime targets for the U.S. military. iReport.com: Do youths have "war fatigue"? About 38,000 U.S. troops are currently serving in Afghanistan. The increased troop levels are expected to last three to four years, the military official said. However, the administration official said there was no clear timeline. "That would prejudge the outcome of the strategic review," the senior administration official said. iReport.com: "Afghanistan: The real war on terror"
Defense Secretary Robert Gates has said the original mission in Afghanistan was "too broad" and needs to be more "realistic and focused" for the United States to succeed. CNN's Adam Levine and Mike Mount contributed to this report.